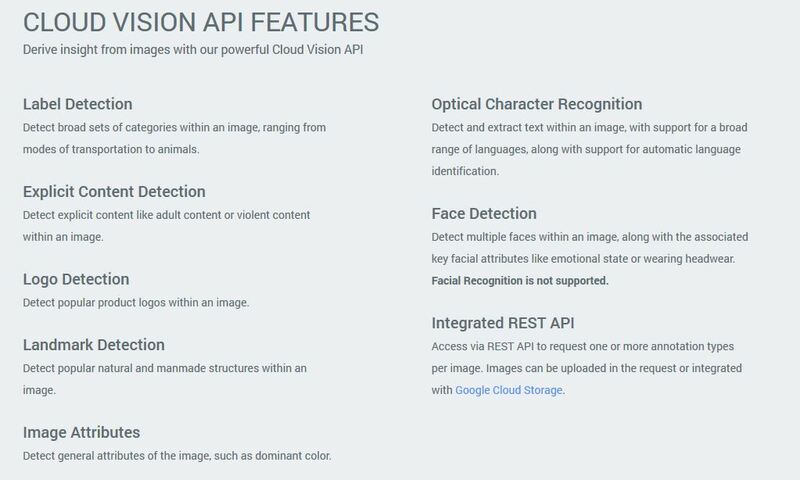 Cloud Vision API by Google Cloud is the latest addition for the Google Cloud platform. Last week it has been made a beta release and been allowed for the developers around the world to try and experience it. 2 month of free usage is offered by the Google at the moment as a promotion. This API is already being used in the Google Photo app. You may have already experienced it’s power. Analyzing objects in a photo, face detection, geographical location detection and fast search are some of their features. So I was able to register for it lat week and was already able to build an app. But as it was still in the beta. Faced some problem(Can be found with solution in Stack overflow) on creating the API key for Android. But was able to find a quick fix as many people are facing the issue. But when I was going through the API and I found many awesome feature that just a myth till today. Still there is no proper documentation but you can find some of the popular features and getting started docs listed here. Pricing is also seems reasonable compared to the amount of processing that they have promised to do. It will be a big break through in the history of the image processing technology. Good article, Thanks for sharing. I want try this in my research. Yesterday I found this https://market.mashape.com/eyeris/emovu-1 EmoVu API which helps to recognized micro-emotions. Wow thats an awesome looking API, specially if it can detect the micro expressions. How have you ported app to mobile? Can you share code on git? It is not an app. It’s an API. Its a basic Restful service. You can call it from mobile app or you can call it fro your web site or any other kind of application that can access internet.